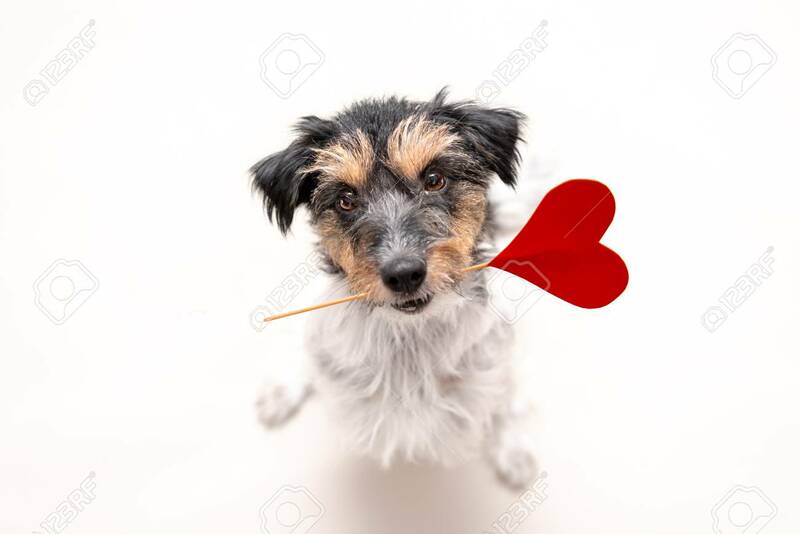 Immagini Stock - Romantic Dog - Little Cute Jack Russell Terrier Doggy With A Heart As A Gift For Valentine In The Mouth Is Looking Up. Picture Isolated On White. Image 115569289. Archivio Fotografico - Romantic Dog - Little cute Jack Russell Terrier doggy with a heart as a gift for Valentine in the mouth is looking up. Picture isolated on white. Romantic Dog - Little cute Jack Russell Terrier doggy with a heart as a gift for Valentine in the mouth is looking up. Picture isolated on white.